I haven’t taken a photo of one of these spectacular sunsets from our home in Harlem in a long time. Maybe that’s a sign that I need a new adventure. My flight—one way—to Gatwick leaves in 52 hours. Our view and the sinking sun are westward, but my future lies eastward. The rooms here are empty—furniture, clothes, dishes, pots and pans, books packed and on their way to Summer Hill Oast. I will get there first and the sparse life will continue there. Eating off plastic, sleeping on a mattress, but hearing birds and sheep and quiet instead of motorcycles doing wheelies down Fifth Avenue, revving from the bend around Marcus Garvey park and sirens making it impossible to speak on the phone with the windows open. Of course, our first mobile phone carrier at the oast had no service at all, so we had to swap out our SIM cards and learn another set of phone numbers in the space of 24 hours. I still don’t really know it by heart. It will be difficult keeping myself out of the garden now that spring is here—earlier in Kent than New York—but there is cleaning to be done and settling into a new country and different ways. Planting will have to wait. 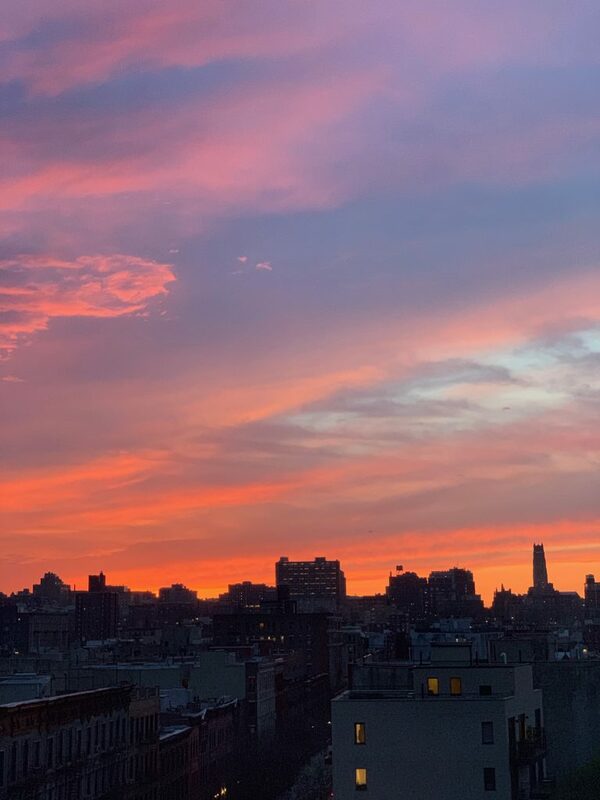 We face south—great for a garden—but with the open skies there will be sunsets to capture and compare to this last orange Harlem sky. Maybe the last view of 30 Lakeview Terrace for a while—home for 15 years, mother and father’s house to go home to for 20 years and then the Saturday-place for another 20 past father’s death. 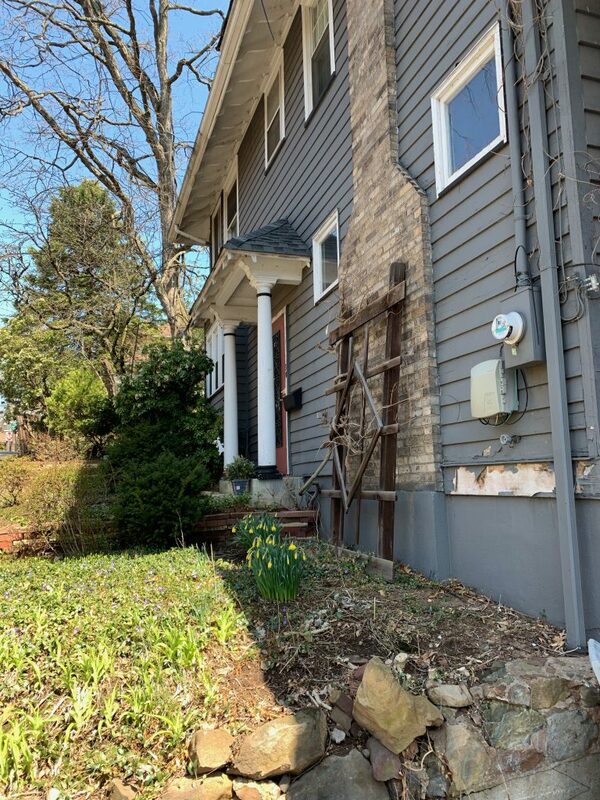 The red door, the grey paint, daffodils planted 30 years ago still rising up, maybe too soon, maybe before the cold weather is safely gone. Daffodils taking a chance on a receptive climate and sun stronger than cold winds. 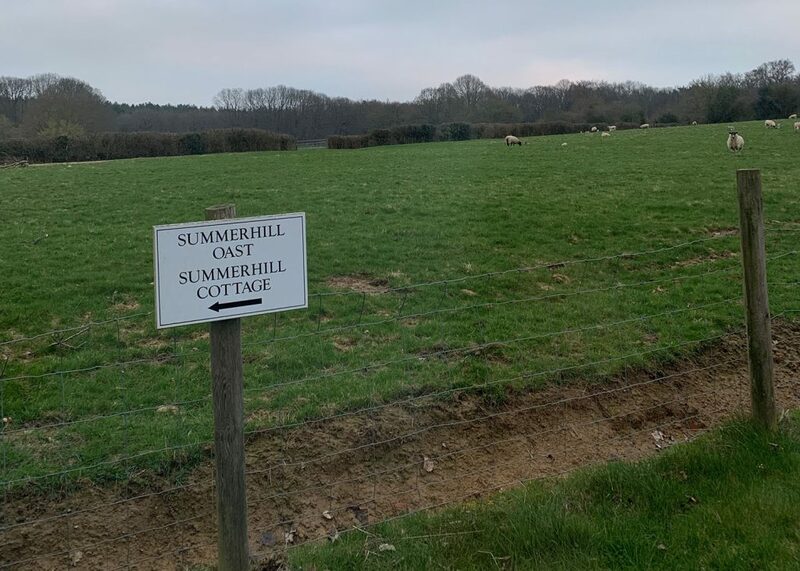 Heading off to my own receptive climate now—Kent England and Summer Hill. Watch here for the adventure. Look it up on Google Maps: TN27 8ER. More to come.